Prior to joining GEE, Yana spent eight years as a professional research analyst on the EU’s Eastern neighbourhood. From 2009 to 2014, she was an analyst on the South Caucasus, Moldova and Russia at the European Stability Initiative (ESI), a Berlin-based independent think tank. From 2014 until 2016, she worked as a research fellow in the EU-funded FP7 project ISSICEU (Intra- and Intersocietal Sources of Instability in the Caucasus and EU Opportunities to Respond, issiceu.eu) at the Stiftung Wissenschaft und Politik, focusing on Turkish and Iranian societal and economic influences in the South Caucasus. 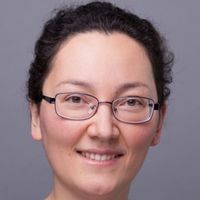 Yana has also worked as an independent consultant, most recently for the EU Horizon 2020 project DIGIWHIST, which analyzed corruption in public procurement in the EU and beyond. She completed her undergraduate studies in Russia, the US, and Germany, and holds an MA in International Relations and European Studies from Central European University in Budapest (2007) and a Master’s degree in public policy from the Hertie School of Governance in Berlin (2009).